We covered quite a bit of ground in our conversation, but primarily focused on the topic of why financial advisors don't talk to their clients about real estate investing. 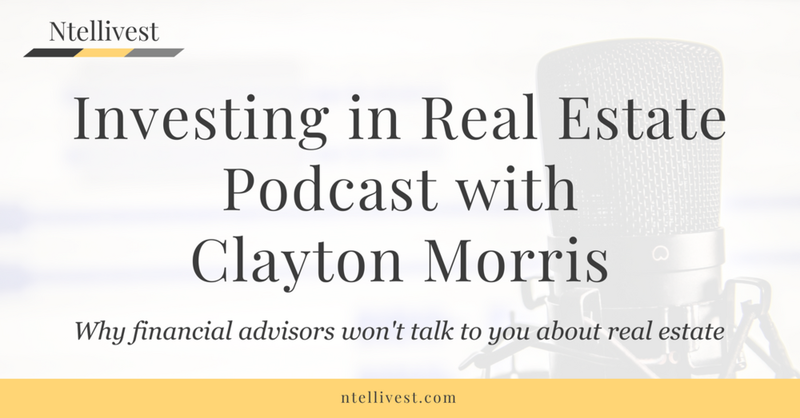 If you would like to hear all the details of the interview, feel free to listen by either subscribing to Clayton's podcast via iTunes (or your favorite listening vehicle of choice), or by simply streaming through the link below. If podcasts aren't your thing, you can also view a video of the interview here courtesy of Clayton's YouTube channel. If you would like to discuss any topic covered here in further detail, feel free to schedule a meeting where we can chat one-on-one. Thanks very much, and I hope you enjoy!